There's nothing quite like a home-cooked meal. So if you've found yourself without a properly functioning oven, take the first step. Contact us today. We can help you get your kitchen back on track. We have a team of professionally trained and licensed technicians who are standing by to come to your fast aid. Also, oven parts can be quite dangerous and difficult to repair or replace without proper training. So don't bother trying to make the repairs yourself. 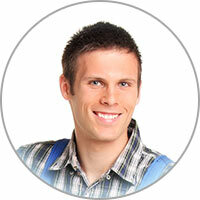 Our technicians assist you to insure your safety during your oven repair service. Call us today; we know that you'll be relieved that you did. We would be happy to complete your oven repair in Coronado CA and the surrounding areas at low prices. 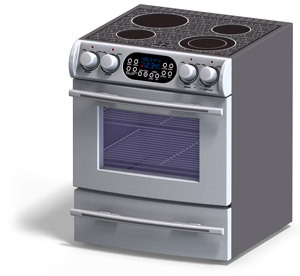 Looking for oven repair or oven parts in Coronado CA? If so, call us today. We aim to provide and deliver, fast and effective oven repair, on each and every service call. We offer replacement of oven parts, diagnosis of oven repair problems, regular oven maintenance, and any other oven repair services. Don't hesitate a moment longer, take back your fully-functioning kitchen once again. Come join our long line of satisfied and repeat customers. Get the oven repair job done right on the first shot. Are you not getting proper heat buildup from your oven? The possible causes for this issue are partially dependent on the type of oven. While gas and electric ovens have many similarities, the parts within them are slightly different. With a standard electrical oven the issue could have to do with the selector switch/relays, bake or broil element, thermostat or the temperature-sensing bulb. With a gas unit, the troubles might be the result of a fault in the gas valve or gas ignitor. If you think your gas line isn't working right, this needs to be checked by your provider.